Netflix, Hulu, and Amazon Prime Video are the three premium streaming services for watching movies and TV shows. Of these three, Netflix is probably the most popular streaming service with close to 100 million subscribers. Netflix app for Windows 10 has been out there for about a year now. 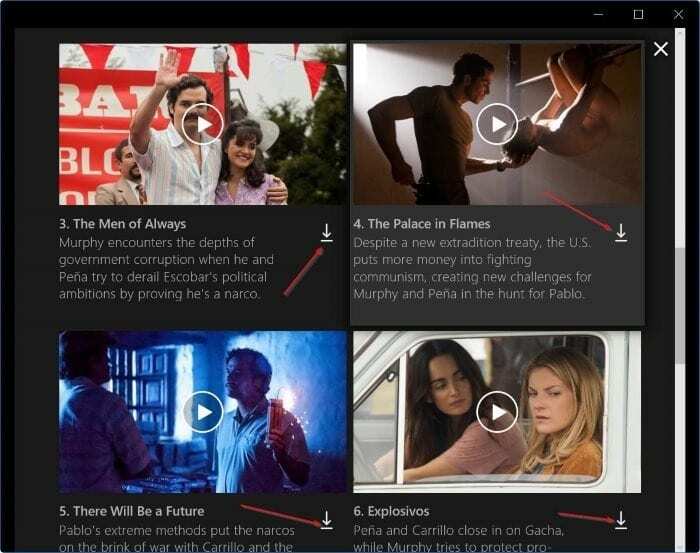 Up until now, we could use the Netflix app for Windows 10 to browse and watch movies and TV episodes only. There was no option in the app to download movies and TV shows to watch them later offline. 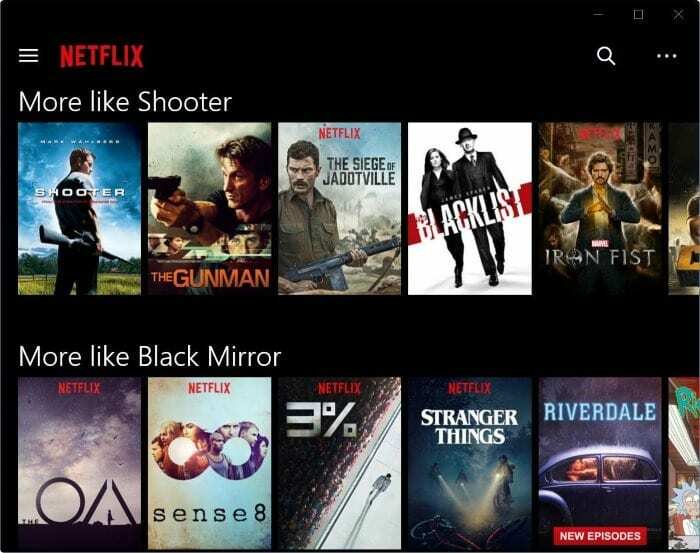 The good news is that Netflix has just updated its Netflix for Windows 10 app and it now allows you download movies and TV shows on your PC. Although this is a great addition to Netflix app, there is a catch. 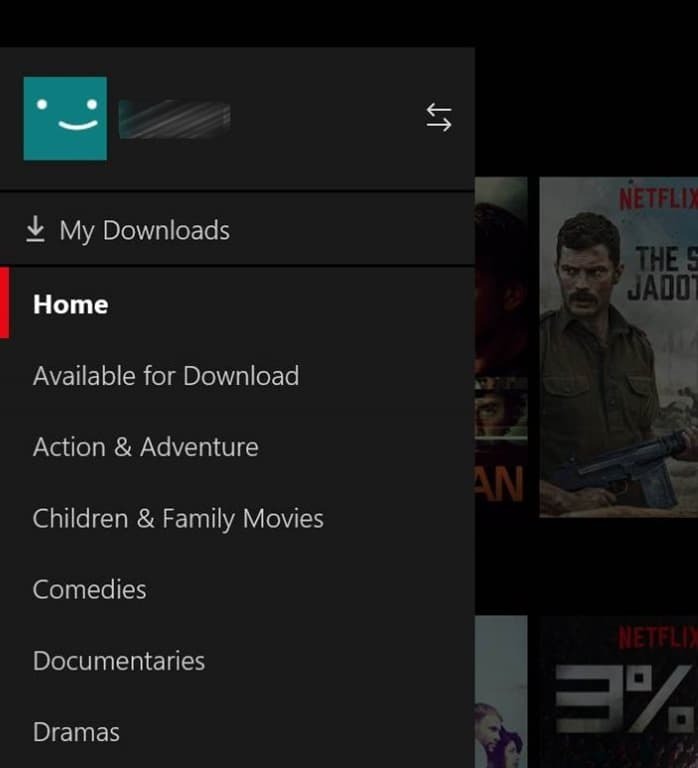 You cannot download all movies or TV shows on your Windows 10 PC using the Netflix app. You can save or download only select movies and TV shows for now. In other words, on some movies and TV shows are available for download. So, if you were hoping to download tens of your favorite movies and TV shows to watch them offline, you might not be able to do so. 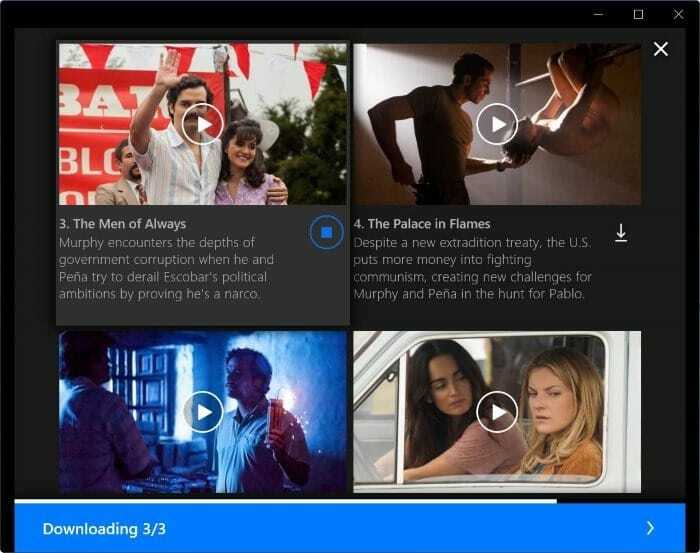 Downloading or saving a movie or TV show on your Windows 10 PC is fairly easy. 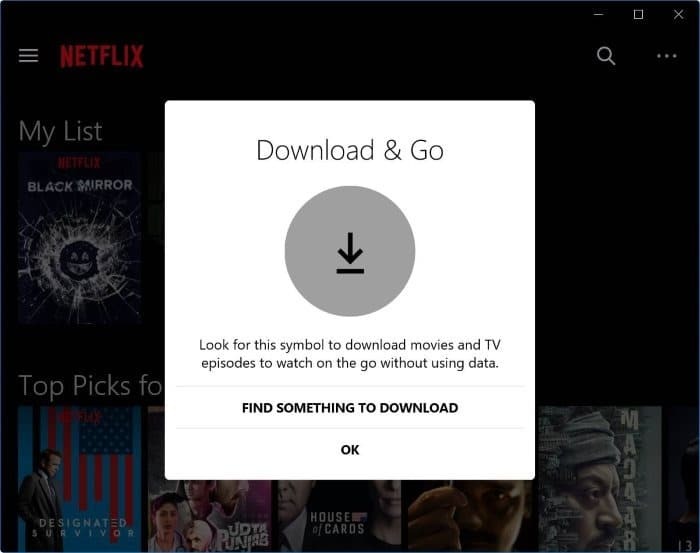 Simply follow the given below directions to download or save Netflix movies and TV shows on your Windows 10 PC. Step 1: Open Netflix app. If you have not installed the app yet, get it from this page of Windows Store. After installing and launching the app, please sign-in to your Netflix account by typing the email address (used for creating the Netflix account) and password. Step 2: Search for the movie or TV show which you want to download or save on your PC. Tip: To quickly view all movies and TV shows available for download, click the hamburger icon (located top-left), and then click Available for download option. Step 3: If a movie or TV episode available for download, you will see a small download icon next to the title of the movie or TV show (refer to the picture below). Click the download icon to begin downloading or saving the movie/ TV show. You will see a bar with “Downloading” message at the bottom of the Netflix window. Of course, you can download multiple movies or TV shows at a time. Step 4: To view all downloaded movies and TV shows, click the hamburger icon, and then click My downloads. Tip: To check the total amount of disk space used by all downloaded contents from Netflix, click the three dots icon (located top-right), click Settings. I have downloaded a movie from Netflix, I can see it in the download folder.